Get involved in Trustees’ Week! This week (12-16 November 2018) we highlight the role of a charity trustee, showing how their skills and experience support good causes throughout society. Trustees’ Week is an annual event celebrating the great work that trustees do. It promotes opportunities for people from all walks of life to get involved and make a difference. You can use our supporter resources to get involved and tell your stories! 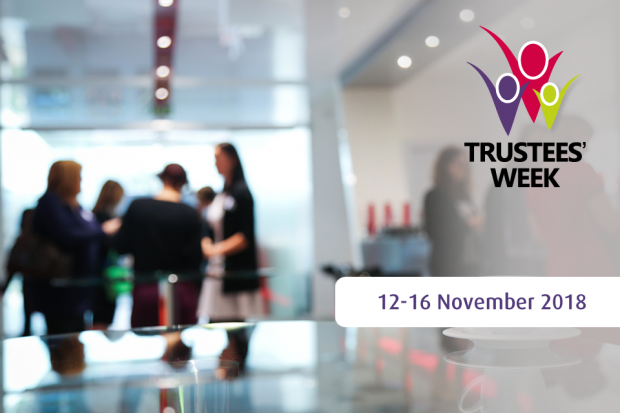 Follow the hashtag #TrusteesWeek on Twitter and LinkedIn for all the latest information. We’ll be celebrating the difference in cultures, styles, skills and experiences people can offer in the role of a trustee. Making sure a charity has a good mix of people from different backgrounds helps it to thrive. This inspires trust so that people can improve lives and strengthen society. Read our interviews with charity trustees to find out about real experiences. Knowing your personality type will help you understand the role you play as a charity trustee. Charities need a good mix of personality types to be successful, so knowing if you are a bright yellow, fiery red, analytical blue or earthy green can help you understand not only where you fit in an organisation but also how best to communicate with those around you, helping you to make the most of your professional relationships. Take the behaviour quiz to discover what type of trustee you are, or what skills you’ll bring to a charity trustee role! What matters to your people, should matter to you. Recruiting quality talent is increasingly about the professional development opportunities your organisation can offer, including supporting employees’ time given to charitable work. Supporting trusteeships amongst your employees can offer huge rewards for both organisations and employees. By supporting professional development you can bring valuable skills back in to the workplace. Take a look at the Trustees’ Week website to explore how your organisation could benefit from supporting trusteeship. Really interesting Trustees Week so far and I hope this will encourage more people to consider being a trustee themselves. Personally, I have found becoming a trustee of Care of Police Survivors (COPS) to be a fascinating, challenging and enriching process as I literally feel my brain being stretched in different ways by the experience of being in this important role which I am proud to hold and I do hope that I have contributed positively as a psychologist and I have certainly learnt a lot too!